Minnesota Vacations are more fun at our Brainerd Resort! 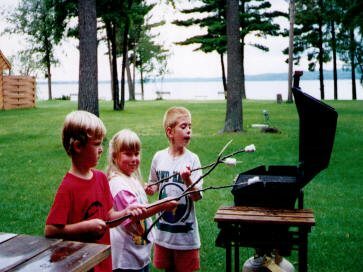 Enjoy your best vacation ever at our Nisswa MN Resort! MN Resorts are Fun for the whole family! MN Vacations are always more fun at Gull Four Seasons Resort. Enjoy some of the stories that are being shared. 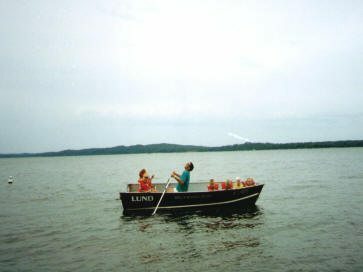 You may get some ideas of fun things to do on your Best Family Vacation ever in the Brainerd & Nisswa Lakes Resort Area of Minnesota. August 07, 2013One of the things I like about Gull 4 Seasons Resort is the cabins here are so cozy and give off a welcoming vibe. The beds are always clean and I have no trouble falling asleep! August 07, 2012What I love about gull is the arcade. The beach is the funnest thing ever and we always go on the floats and jump off. August 07, 2012My favorite thing in Brainerd is Paul Bunyan. He talked to me and my sister about the fishing on Gull Lake. August 07, 2012I am having the best time in Minnesota! The best thing to do at Gull Lake is go fishing. In the morning we catch Bass! August 07, 2012One thing I love about Gull 4 Seasons Resort is the rec-room. Its great for a rainy day. I have the high score on my favorite game Mr. Doo. August 04, 2012This is my 4th year up at Gull Lake and it is the highlight of my summer. This resort has everything. An arcade, swimming pools, spa/hot tub, tennis court, and of course the swimming beach! I love jumping off the dock and the water is always refreshing. August 03, 2012I like scrap booking. I love cleaning fish. I so like playing games. August 03, 2012I love coming to Gull 4 Seasons Resort because I love to ride my bike on your path, and I like swimming. August 02, 2012I love canoeing. I love the cabin. I so love the POOL! July 31, 2012I like to play Bingo and win prizes. I win scrabble. I love to go to the pool. July 31, 2012I like fishing. I caught 23 fish and six keepers. I love the secret trail in the woods. I like scrabble. July 30, 2012I love going for walks. I like the pond with fish. I loved the pool water. July 30, 2012I like to go fishing. I love looking at the sunset every night. I love riding bike on the trail. July 29, 2012I loved fishing. I caught 15 sunnies. I loved to play bingo, and win prizes. I loved the sunset. July 29, 2012I am having a blast! I have been canoeing and kayaking. My Dad says since they are free I can do them every day! July 27, 2012I love Gull 4 Seasons Resort because they have 2 game rooms and a park to play in. July 26, 2012We come here every year. Our favorite place is the pool. I like the hot tub. I swim with my cousins. July 26, 2012Me and my Dad like to play soccer tennis. We play it with my cousin and sister and my Dad and I. Me and my 2 cousin won today. July 25, 2012I like how big some of the pools are here, there is also so much activities here there is (swimming, arcade, shuffle board, canoing, and kayaking). July 24, 2012My favorite part about Gull 4 Seasons is all the fun things they offer us. Like swimming and kayaking. July 24, 2012I love the staff that works here! They are all so happy and nice. July 24, 2012I love Gull 4 Seasons resort because the cabins are so nice and clean. And also they have a candy counter with tons of choices. I love it here. July 24, 2012Everyday my family and I go to the pool and swim. My favorite place is the hot tub. We have come here for 5 years and we love it here. At night we go fishing for bass, but we let them go. 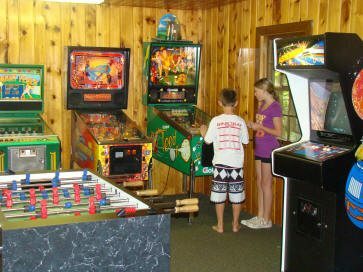 July 23, 2012I love Gull 4 Seasons Resort because they have a game room inside and outside with tons of games. Also you can play shuffle board a fun game to play with your friends. July 23, 2012My favorite thing about Gull 4 Seasons Resort is the beach and the beautiful view of the lake. July 23, 2012I love the arcade! It has sooo many fun games for a lot of enjoyment! July 23, 2012I like how smooth the paths are for my rip stick. The second thing I like is how inexpensive the game of Pacman is in the lobby. July 23, 2012My favorite part about coming to Gull 4 Seasons Resort is swimming in the pools. I have so much fun with my cousins when we get to go swimming. July 22, 2012I love the activities at Gull Four Seasons Resort! There is swimming, arcade, playground, a candy store, tennis court, and a basketball court! Plus kayaking, shuffle board, and canoeing. July 22, 2012I love Gull 4 Seasons Resort because they have a park to play in. And next to it they have a tennis court thats very big! July 21, 2012I love the scenery at Gull Four Seasons Resort! I love the beach, view of the lake and of the trees! This is the best vacation spot! July 20, 2012My sister my Aunt Jessy my Dad and I went mini golfing and Jessy hit so hard it went onto a different course and I had to go through a rope and on to a different course. I needed help getting up so my Dad went through the rope and pulled me up and we continued our game of golf. I lost and my Dad won but I still had fun even though I lost! July 20, 2012Yesterday me my Dad and some other people went on go carts. Me and my aunt raced together. It was so much fun! July 19, 2012Today me and my cousins went tubing and there were big waves. Me and my cousin Anna kept saying Stay On! When I was saying that I accidentally said Jump Off and I fell off. July 19, 2012Today we were at the lake wading in the water. I didnt want to get my hair wet, but when a big wave came (from a boat) it pushed me under. I was kinda mad because I was freezing, but I went tubing after so I got wet anyway! July 19, 2012Today we went tubing in Gull Lake and when me and Anna were starting to go, too much weight was in the front and we fell off and the tube flipped over. That was fun!! July 19, 2012Today was the most wonderful day. Me and my Dad went fishing before everybody got up, and caught 7 Bass. When we got back my Mom made us pancakes and sausage. We paddled the canoe way down the shore. When we got back we all jumped in the lake. July 18, 2012Two days ago me and by family went down to the lake. We brought our tube. We put it by the dock and jumped onto the tube. When I jumped on the tube flipped over. Everybody thought it was funny; even I thought it was funny. July 18, 2012Tuesday morning my sister and my cousins Anna, Adian and Grant went down to the lake and fed the ducks. The mother duck and a baby saw my bread and walked up on the dock and ate the bread and let me touch it. My sister Layla got bit by a duck and we could not stop laughing. Even Layla laughed and now we all have a blast feeding ducks, and thats my stoty!! July 17, 2012We were on the boat tubing, and it was my cousins Layla & Kiras turn to go. Layla got on the tube and Kira was getting on the side of the boat to jump onto the tube. Only when Kira jumped she completely missed the tube and jumped way too far left. We couldnt stop laughing! Then I said OK my turn! because the way we do it is once you fall off your turn is over. I had so much fun tubing. July 17, 2012When me and my sister were on my innertube with my cousins Anna and Aiden my Aunt Jessica and my Grandpa Craig were on the boat and my Grandpa said oh look at those waves. So he turned his boat to the left and me and Layla went over the waves. The tube went 2 feet in the air. When the tube went in the air Layla went 5 feet in the air and fell in the water. Me and Anna, Aiden, and Layla had fun tubing. I hope we do it tomorrow. July 09, 2012Oh what a beautiful view of Gull Lake. The breeze off the lake makes it perfect to sit on a bench and really, really relax. The kids are having the time of their life, and are having no problem finding lots to do. We bought a roll of quarters which the kids really enjoyed dropping in the game room. July 08, 2012We went fishing yesterday and I caught a Largemouth Bass, and my Mom caught a Northern. We are saving our fish for a fish fry. When we came back I caught 2 more Bass on the dock. I got to keep them. July 08, 2012We took out 2 canoes today. We went way out there. It was fun. My Dad can paddle very fast. When we got back to the resort we all jumped in the lake to cool off. July 08, 2012We rode our bike on the Paul Bunyan Trail in Nisswa. We went for probably miles. My Mom got a sore foot so we came back. We had ice cream in Nisswa after we put our bikes away. We are going to go swimming when we get back. July 06, 2012This is the last day of our vacation. My favorite thing to do was swimming in the outdoor pool. My brother always wanted to go to the indoor pool. We swim every day. At night I help with cleaning the table and I get to go to the candy store with my Mom and get ice cream. July 01, 2012It is definitely a good time to be at Gull Lake. It is hotJ! I love the lake and pools. There is so much to do here. I especially like being able to use the canoes and kayaks for free! Some places every time you turn around there is another charge to do something. Not here! June 29, 2012When I walked in the room was very welcoming. Then we went and ate with our family. The beds were very comfortable. My Mom and I slept in the hide-a-bed while my Dad and brother slept in the real bed. We (my Mom and I) stayed up until midnight reading the book called Trixie Belden and the Hudson river Mystery. Trixie Belden is a detective. We also ate popcorn in bed!!!! The next morning we got up and went canoeing and kayaking with my family. Then my brother, my Dad and me (Lisi) and my Mom went swimming, and we ate supper. My brother Jeff did some magic tricks, (he did almost the same things s last night). Then the next morning we checked out. June 28, 2012I like to swim in the lake. We played the pinball machine. Now we are going to swim in the pool. My brother is learning to swim. June 20, 2012My favorite thing is the kayaks. We went way out there. Tomorrow my Dad will take us out in the canoe. June 16, 2012I like to sit at the picnic table and draw. We fed a duck that came to our cabin today. It ate my cereal. June 12, 2012I like the merry-go-round at the park. My brother spins me until I cant hold on. I like to swim. June 12, 2012I went fishing on the dock and caught a Largemouth Bass it was bigger than the one my dad caught in the boat. June 09, 2012We are finally on vacation! Our trip to Minnesota went well and the swimming pools are great! The guys can fish, I will rest. August 25, 2011We went to the swimming beach to sunbath, and it was really relaxing. Later on we went to the swimming pool. We played the ball game, and put our feet in the hot tub. August 25, 2011We went fishing today. I caught a baby bass, and 5 more fish! It was fun! August 25, 2011We went fishing today. We went to a random spot, but we did not catch many fish. We moved and found a hot spot, and caught 5 keepers! I caught the first keeper. August 25, 2011Only 2 days left of our MN vacation! We did so many things today, sunbathing, swimming at the beach, swimming at the pool. We went kayaking also. We tried many fishing spots, but the best one was on Love Lake. We went to Nisswa and looked in many shops. Tonight we will go to the chocolate ox which is in Nisswa for Ice cream. Dinner will be fish sticks from the fish we caught. August 25, 2011Today I went fishing and caught 4 or 5 fish. My cousin caught about 5 fish. August 25, 2011Yesterday we went biking on the Paul Bunyan Trail. Our youngest cousins went in a double surrey bike. Today we will do a play for our parents, aunts, uncles and Grandparents. We also went fishing, but I was the only one who didnt catch any fish. August 24, 2011Today we went fishing. We caught about 20 fish. We are going to make them into fish sticks yum!! After that my cousin and I tried to catch frogs, but we could catch any. August 24, 2011We went miniature golfing at Pirates Cove. There is a really hard hole on a pirate ship. We all gave up so we scored 8. I did get 3 hole in ones! August 23, 2011We went to the pool with my cousins. We played ship across the ocean and Marco Polo. Tonight we are going to watch a movie. August 23, 2011I went swimming with all of my cousins and my sister. We played ships across the ocean and color wheel. It was fun. Tonight is movie night. The cleaned the “theater” just for us… now I feel special. August 23, 2011Today was awesome! We went tubing (with big waves), kayaking (my brother’s kayak flipped over). We had to drag it in and scoop all the water out! Now my cousins are going to the pool… Wait for me!! August 23, 2011Today we went kayaking, my cousin tipped over so we had to go help him. Later we found a giant toad, about the size of the palm of my hand! August 23, 2011Today we went kayaking on Gull Lake with our cousins and we found a ball to play with. Earlier we painted pictures for the president. Also we went on crazy tube rides with the speedboat. August 23, 2011We went tubing it was fun. After that we went kayaking. We caught a toad. August 23, 2011I went fishing last night on Love Lake. Today I went fast and bumpy for tubing. We sure had fun at Gull 4 Seasons Resort AGAIN. 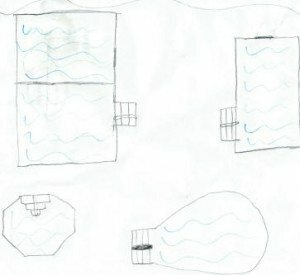 August 23, 2011I like how you have 4 pools. This is our second year doing a play. August 23, 2011I like skiing here! I’m going tubing today, and I am having a lot of fun. August 23, 2011Thank you for letting me come here. I went tubing on Gull Lake. I went boating. I biked on a path. It was a spooky path. I will come back. August 22, 2011I have been catching frogs and going to my Grandma’s cabin for cookies. I am doing a play with my cousins. This place really rocks. I really like the cabins, I have a brother and he took me to the game room. August 22, 2011I like water skiing. I like feeding the ducks. August 21, 2011The swimming pool was fun. We stayed for a long time. I liked it when the grownups came in and played. August 21, 2011Today I watched my cousins water ski on Gull Lake. I cheered for them like crazy. Later we played in the swimming pool for about 2-3 hours. We played Marco Polo, Ships Across the Ocean, and Ball Game. August 21, 2011I like how we can go kayaking. I like coming here and spending time with my family. August 21, 2011We love coming to Gull Four Seasons Resort with our cousins and Grandparents. Today we went waterskiing on the speedboat. Also biking around here is fun. August 21, 2011love Gull Four Seasons Resort! Today was awesome. I went water skiing and swimming. I am here with my cousins, we have so much fun! Having two swimming pools is fun! I have come here 9 times and I am 9!!! August 21, 2011This resort is sweet! I really, really like your trees. I like your game room next to the park. August 21, 2011I love Gull 4 Seasons Resort because it has a nice lake. It has good cabins! August 21, 2011I really like Gull 4 Seasons Resort! The pool is really fun! The park is fun too! August 21, 2011We are so glad we found Gull 4 Seasons Resort! We checked out a lot of MN Resorts, and this one really stood out! We have come here and aside from a trip to the Go-Cart track, and a trip to Nisswa for shopping ice cream cones and candy, nobody wants to go anywhere else! If you are looking for a resort in MN, you have a good pick here!!! August 19, 2011Yesterday we went to a different swimming beach, and I climbed the big castle. We slid off of it and it was a lot of fun! We built a sand castle. August 19, 2011Today I woke up and played in the pool for 2 hours. After that we went boating around Gull Lake. when we came back we played in the pool again. We had lots and lots of fun in the awesome swimming pool! We played lots of games and stuff like ultimate Frisbee and kickball! We also went fishing on Gull Lake. August 18, 2011Today we went to an awesome swimming beach. We swam all around! We also played on an inflatable rock climbing wall there. Then we had lunch. After lunch we went boating. I inner tubed with Abby and we went super fast! We went home after that and had dinner. August 17, 2011Today I went to the swimming pool and we played football in the water. Then we went for a bike ride and it was a lot of fun. August 17, 2011Today we went to the arcade, it was very fun. We also went swimming it was so much fun! August 17, 2011Today we went swimming. We saw our cousins. We biked around. We played games at the game room because Grandma paid us 5 dollars. August 17, 2011Last night we played some fun games. My favorite was the Oreo cookie on the forehead. My Mom was my partner. We didnt win, but we got to eat a cookie. We also went swimming. August 17, 2011Today we played in the pool until lunch time. After lunch we went to the big cabin because it was raining. Then we had a big minute to win-it contest. We had to put cookies on our foreheads, and tried to get them in our mouths without using our hands. After that we played Frisbee golf and then we went to bed. August 16, 2011Today I went to the Chocolate Ox in Nisswa and got salt water taffy. I will go swimming after a nap. I have been doing lots of biking. August 16, 2011Today we went shopping in Nisswa. My favorite thing I did there was go to the Chocolate Ox. August 16, 2011Today I went to the swimming pool for a long time. I went on a bike ride and I got tired. I went to the resort candy store and my Mom got me a gob stopper, and we went back to the cabin. August 16, 2011Today we went to the pool and played until lunch. For lunch we had sandwiches. Then we went on a bike ride and went to the Chocolate Ox in Nisswa. We went home and had dinner. After dinner we stayed up late, playing games. We had lots of fun! August 16, 2011Today we went shopping in Nisswa. We bought candy at the Chocolate Ox. We met up with our cousins and the bought lots of stuff. We bought new books. So far they are pretty good. August 15, 2011Today I biked around the pool, the playground, and on the grass. I went for a long bike ride with my Mom, brother, and sister. I also played hide and seek with my cousin Riley. My favorite thing was biking. August 15, 2011My day today was fun. We biked around for a while then we headed to the park. At the park we played on the thing that spins. Then we went to the pool. The pool is awesome. We play in both the indoor pool and the outdoor pools. The indoor pool is best for getting cooled off. August 15, 2011Today we went to the playground and played on the spin thing. We were very, very dizzy! Then we went to the beach and made a sand castle. We also found lots of cool shells and a snail! After lunch we went to the pool and played in the water! Then I layed out in the sun with my Mom. We had lots of fun at the swimming pools. After that we went out on the lake and went inner tubing! The lake was really bumpy. After dinner we went to the swimming pools one last time and then we watched TV in our cabin until we went to bed. August 14, 2011Me and my 3 brothers arrived at Gull 4 Seasons Resort yesterday, along with my parents and our boat. When we arrived we were greeted by our Aunt Carry. Once we had found our cabin and finished unpacking, we headed over to our other familys cabin for lasagna made by our aunts friends family. After a delicious dinner, we headed over to the pool, where we enjoyed some games of keys-away and sharks in the water. Later we headed back to our cabin for some much needed rest, after a wonderful day at Gull 4 Seasons Resort. August 14, 2011Today I went to the beach and collected clams. I also made a moat and it went to the lake. I went swimming at the indoor pool and the outdoor pool too. I also went on a boat ride and we got stuck, and one of our cousins came and towed us back to the resort. I played games on my Dads phone. I went to the pool again and swam. We did a contest on who could make the biggest splash. August 12, 2011Gull 4 Seasons Resort is awesome!!! There are so many fun things to do. I love the pools. I love the WIFI. I am having the best time! Too bad it is Friday. August 11, 2011Today was sunny so it was a great day for the lake. I thought swimming in the lake was refreshing. August 11, 2011I love playing in the arcade with family! The swimming beach is so fun especially the kayaks! August 11, 2011I like swimming at the pool. I like swimming at the lake. They are fun! August 11, 2011Today the weather is very nice and calm, so we will go tubing. I am sad that the week is almost over because it has been very fun. My family will be back next year. August 11, 2011The kayaks are really nice! I really like the swimming pools. August 10, 2011I have had a lot of fun this week. I have been swimming, playing sports, and playing games in the rec room. I hope to be back next year! August 10, 2011This week at Gull 4 Seasons Resort I have had a great time swimming in the pool, and the lake. I also have been hanging out in my cabin. August 10, 2011Today I enjoyed playing tennis. After that I was hot so I jumped into the pool. It felt good. August 10, 2011We had fun playing Tennis. I did really good. August 10, 2011Today I took lots of bread to feed the ducks. They were hungry for my bread. Then I went swimming with my Dad and brother. I cant wait to swim again. August 09, 2011What I like about Gull Lake is the fact that we can Kayak. It is awesome and I can jump off the dock. August 09, 2011I love the beach and the swimming area. It is the perfect depth to swim for everybody to enjoy! August 08, 2011Today I went to the lake. It was really nice because the sand is great for building sand castles. Also I love jumping off the dock! August 08, 2011Hi my name is Mary. I like the pool because I can swim and hang out with family. August 07, 2011Today we went to the arcade. Its super fun and it doesnt matter what you play in there. There is a game called Mr. Do and I am determined to get to level 6! August 07, 2011The outdoor pool is awesome on sunny days like today! I also love the Wi-Fi. August 07, 2011I love hanging out by the pool. I like that there is an indoor and an outdoor pool. You can swim even on rainy days! August 06, 2011Today we leave the resort! We had such an amazing time here! I cant wait to come back next year and do everything again! August 06, 2011Its great to be able to spend time with my family! We can swim and run around! August 06, 2011The indoor pool is fun for rainy days or chillier days. August 06, 2011I love playing games in the rec room. I like Pac Man the best. It is fun to hang out there with my family. This place has so many things to do for all the ages. Such as: Pools Rec room & Swimming Beach. It is great to get away from all the city madness! August 06, 2011I love how you can swim even on rainy days! I never get bored at Gull 4 seasons Resort! August 06, 2011Hello my name is Mary. Im going to 5th grade, and I go to Gull 4 Seasons Resort every year with my Cousins. Its very fun going to the arcade, it has such fun games. August 05, 2011Last night I caught 6 fish. I love the bike path. I ride my bike every day. August 05, 2011I caught a keeper fishing today. I went on my boat and went tubing. August 05, 2011I caught fish and 2 were keepers. I made a vacation scrapbook. August 05, 2011Today was our last day of vacation. We stayed out on the tube all day, and then we got the family together for our bean bag tournament. Lastly we took a picture in our matching vacation shirts. August 05, 2011We each cook one night. I love our great food. I collect treasures pinecones, shells, pretty rocks. August 05, 2011I had lots of fun today. I went swimming and I had fun. August 05, 2011I have been coming here since I was a baby. I sit on my Grandmas lap every morning. August 05, 2011I enjoy going down to the lake and watching the sunset, and feeding the ducks with my family. I like fishing off the dock and catching the yellow belly fishes. August 04, 2011I went to the pool and had fun. I played lots of games. August 04, 2011I got a new bike and love riding my new bike. I loved kayaking and I did it myself. August 04, 2011Today we went shopping in Nisswa and I got a sweatshirt made for me. After that we got HUGE ice cream cones. August 04, 2011I like the kayaks here because they are a fun thing. I like the pools because I like swimming. August 04, 2011I like looking at the tall trees around the resort, because my family saw a huge eagle in the tree in front of our cabin. I love playing Donkey Kong with my Dad!!! August 04, 2011I went biking today. I saw a buck deer. I went swimming, I jumped into the water. August 03, 2011I like to swim in the pool because it is fun when my family is in there. I also like to play at the arcade, because the games there are fun! August 03, 2011I went swimming and fishing. I had a high score on MS Pacman. August 03, 2011Today was the most amazing day! We had lots of fun going tubing and trying not to fall off! Then we went kayaking and we got to go on a water trampoline. After that we went back on the tube and I fell off twice. August 03, 2011I like the lake because I like to go tubing. Like a boss. I like the tennis court like a boss. August 02, 2011I like swimming and watching eagles soaring in the air. I fish off the dock and get big ones. August 02, 20111. I love the pool. 2. I like the park. 3. I like the lake because we go fishing. 4. I love our Cabin. August 02, 2011I like the pool because I can practice my swimming. I like the weather because you can play outside. We went swimming inside, and swam for a long time! July 31, 2011I like to go shopping in Nisswa. I love to play bingo and win prizes. July 31, 2011I like to get glitter on my eyes. We like to play bingo. July 30, 2011Weve been coming to Gull 4 Seasons for years! There is always something to do! I look forward to coming every year! July 29, 2011I love the lake. I swim there all the time! Yesterday we went tubing for 3 hours. It was so fun! July 28, 2011I love the Game room. There are so many fun games to play! I go there about every day. I love it! July 28, 2011I love the Cabins! They are big! You also have a big outside area to play games! We have Baggo, and Wiffleball! July 27, 2011I love the staff. They are so nice to me and my family. They have so much stuff we can rent — the kayaks, basketball, tennis court, shuffleboard and more! July 27, 2011I love the swimming pools! They are really fun to swim in. Me and my cousins swim in it every day. My favorite is the indoor pool! July 27, 2011Gull 4 Seasons Resort is amazing because there is so much to do! Me and my cousins love spending time in the water! Were always swimming, kayaking, and tubing Its so much fun! July 26, 2011I love the kayak. It was so fun! Me and my cousins went out for like an hour! I cant wait to go again! July 26, 2011I loved the lakeside view! Me and my Grandma always watch the sunset. We also can go tubing and on boat rides all the time. July 24, 2011I love Gull 4 Seasons Resort because of the many things to do. There is shuffleboard, 3 pools, a hot tub, a tennis court, a game room and more! I love Gull 4 Seasons Resort. July 24, 2011We have really been enjoying the kayaks at the beach. They are a bit intimidating at first, but after watching the kids take off, I got brave and did it! No problem and I was skimming across Gull Lake! Great Fun and FREE!! July 24, 2011I love the Swimming pool! I go there all the time, maybe 3 times per day! Also the candy counter has the best candy I love it. July 24, 2011The best thing about Gull 4 Seasons Resort is that they have an amazing staff. They are always so kind and are always trying their best to let us have the best experience here. July 23, 2011I got to go swimming in Gull Lake today. When I am by the lake my Dad says to slow down. I get so excited and when I am in the water I can’t stop swimming! If I am wet when I come out of the water I don’t care, I just go by my Mom and shake it off. I love swimming! July 23, 2011Gull 4 Seasons Resort is a family tradition and its awesome! Every year I count down the days, and when it comes it is my favorite thing to do! July 09, 2011Gull 4 Seasons Resort is a Great! I love the big TV in the living room! Me and my Dad watch the Minnesota Twins! September 04, 2010I like watching the view of the sunset over the lake! I am going boating today! I am having a blast!!! August 30, 2010Yesterday I went to the rec room. I played pac man, pinball, and many more games! It was a lot of fun. After that I played at the playground. Then I got to play tennis with my Mom and Dad. I had so much fun. August 30, 2010Yesterday I went swimming in the indoor pool. It was so fun! Next I played on the playground and swung on the swing. August 30, 2010I enjoyed bringing my grandson here. We really liked the resort and are coming back next year. As soon as we got here I put on my swimsuit and jumped into the crystal-clear water of the outdoor pool. Then we went to sleep and I couldnt wait until the next day! I am having so much fun! The first thing I did was I hopped into the lake. This is the best resort ever! August 28, 2010I helped my cousin pack her bag. I also did a play with all my cousins. August 28, 2010We went fishing I caught the big fish. August 27, 2010I went on a fishing trip. The group that I went with caught 33 fish. August 27, 2010The kitchen was very compact and functional. Th lake view was fabulous! August 27, 2010We went fishing, there were 3 groups and our group caught the most fish. We caught 31 sunfish. I also went golfing in an open field for the first time. August 26, 2010I found a lot of skipping stones at the lake. This resort rocks. This place is awesome. August 26, 2010I love going to go get donuts, and eating them with my Grandpa and cousins. I also like watching a movie with my cousins, aunts and uncles. August 26, 2010I enjoy the pool. I enjoy the park. August 26, 2010I caught a sunny, and I think Gull Lake rocks! We found skipping stones at the lake. Tonight we are going to go swimming at the pool. August 26, 2010I come here every year with my cousins. I get donuts with my cousins in the morning. I love coming here ♥. August 26, 2010I liked it when we went miniature golfing. I got a hole in one. August 26, 2010I come to this resort every year. It is so fun to come here! I have a lot of fun spending time at the pool! We went miniature golfing yesterday, and had a picnic. August 26, 2010I enjoy the view of the lake, especially at sunset. My cousins and I played some baseball at the park in Nisswa. Our family has a tradition that is getting doughnuts with our Grandpa in the morning. August 25, 2010I think Gull 4 Seasons Resort is the best. They have a game room. They have a baseball game, I got a home run. August 25, 2010We went golfing and it was really fun. August 25, 2010I love coming here! I love the pool, game room and the playground. August 25, 2010I love going to the pool and Jumping in. August 25, 2010I love this resort because of the pool, and because it is fun. August 25, 2010I like the park and this resort. 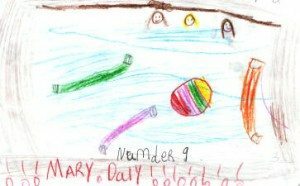 August 25, 2010I like swimming in the pool. I like Gull 4 Seasons Resort! August 25, 2010I enjoyed miniature golfing at Pirates Cove. It gets you ready for golfing. The outdoor pool and indoor pool are both really fun. My Uncle brought his boat up here so we could tube on the lake. We also swam in the lake and played on the beach. August 25, 2010I love the resort because I get to go fishing and spend time with my family. I love the outdoor and indoor pools, and all the food. August 25, 2010I loved mini golfing at Pirates Cove and swimming. I also love coming here almost every year. I like looking at all of the animals at the Front Desk. I come here every year. I like swimming and sunbathing. I like how there are animals in the lobby. August 24, 2010This resort rocks! I caught a frog called a spring peeper, but it escaped. August 24, 2010I think that Brainerd rocks! We caught a perch off the dock. August 24, 2010I love swimming in the pools, they are so warm. Today we saw the chickens walking by the park, there were 7 of them. August 24, 2010This is my 8th year here! I came here with my cousins when I was a baby and ever since, except in 2009. I like going to the pools. August 23, 2010I went to the arcade and beat the Star Wars game. We played tennis and used a power hitter. August 23, 2010We have really enjoyed our stay in Minnesota. Gull 4 Seasons Resort has it all for us. The whole family has spent lots of time together (which is so important). We rented the pontoon for some fishing, have spent a ton of time at the beach and pools, and we just love playing shuffleboard! Our trip to Paul Bunyan in Brainerd was a blast. Everything at this resort has been great!!! August 21, 2010What a day! We listened to the call of a loon over a cup of coffee. We took the kids swimming in the pool. Then we spent a rushed couple of hours in Downtown Nisswa (too many shops too little time). Back to the resort for a boat ride around Gull Lake. Gull is one of the nicest lakes in Minnesota! At this point a couple of steaks on the grill, almost seemed like too much work J. Then more swimming, and finally we rounded up the whole family and watched the sunset over Gull Lake, how beautiful! August 20, 2010I went tubing with my friend Trevor. It was awesome. I almost fell off. August 19, 2010I went on the Paul Bunyan Trail with my Mom & Dad. It was fun. I biked 5 miles with my Mom & Dad. August 18, 2010I like it at night when our lights are on so you can see the lake. I like how the resort is near a small town. August 18, 2010I like that you can rent pontoons and fishing boats. We went out on the pontoon. August 18, 2010I like the pontoon. I like to go fishing. August 18, 2010I really like Gull Lake. I like tubing. August 18, 2010We went fishing with my Dad. We caught 3 fish. It was fun. We fished for a long time. August 17, 2010I like staying here because of the accessibility to the lake. Today we will go swimming and go fishing in Gull Lake. August 17, 2010I like riding my scooter around, doing wheelies and bunny hops. I like how they allow skaters and bikes. August 17, 2010I went on the tennis court with my friend. We hit the ball over the fence. August 17, 2010I like the pool, and the park. August 17, 2010I like the pool a lot. The park is fun too. August 16, 2010I like Gull Lake. I like swimming. August 16, 2010At Gull 4 Seasons Resort I really enjoy the lake. I like the staff also. August 16, 2010I like staying at Gull 4 Seasons Resort because of the activities. My favorites are shuffleboard and swimming. August 16, 2010I love playing the shuffleboard, and watching the wildlife. August 16, 2010I like to ride my bike on the trails with my family. I also like to play shuffleboard. August 15, 2010I like the Video Arcade because there are a lot of games. I love the pool because me and my friend play and splash in it. August 15, 2010It is cool here because there is a pool. Also at night we watch the waves. August 15, 2010Things I Like About Gull 4 Seasons Resort. I really like the beach. The pool is fun. August 15, 2010I like the managers. I like the lake. August 15, 2010I like staying at Gull 4 Seasons resort because of the location on the beach. I like watching the waves on the dock at night. August 15, 2010I Love Minnesota! We have left the heat behind us, and are enjoying a vacation with our family at this wonderful resort. Gull Lake is beautiful and we are so handy to the really neat shops in downtown Nisswa. The peace and quiet here is great and the sunsets are spectacular. We even had a fire in our fireplace last night. Truly a Minnesota Family Resort experience! August 15, 2010I like the arcade because my Dad helped me play pool. I really liked it. I played splash in it with my friends. August 13, 2010My Dad found a bug called a walking stick this morning. I had fun playing with it. August 13, 2010My Dad found a walking stick this morning. He looked like a stick but his legs were green. August 13, 2010I like the workers here, they are very nice. I also like the pool and the beach. August 13, 2010I love Gull 4 Seasons Resort. It is so fun, the pool is awesome. I love going swimming. August 13, 2010I like to swim here. I like to play tennis here. I like your game room. I cant wait to come here again. Thank you for the fun. I like your park. August 13, 2010I love this resort! It has candy, tables, WIFI, and friendly service. Its a great place to hang out. Plus they have games to play. August 13, 2010The resort workers are the best. The beach is awesome. August 13, 2010Today we have to leave Gull 4 Seasons Resort. Im sad, because I have enjoyed this resort so much. The pools, tennis, bike rides and the lake. August 12, 2010I had fun swimming with my Mom in the outdoor pool, and then I played with my brother in the indoor pool. It was a blast! August 12, 2010Today I enjoyed sitting in the warm hot tub. It felt so relaxing I almost fell asleep. August 11, 2010I went shopping today. I got cool stuff. August 11, 2010Today I enjoyed playing in the pool. We had a contest to see who could grab the most toys. My mom beat me every time. August 11, 2010My favorite part of the day was feeding the ducks at the sandbar. They would come right up to my feet. We fed them sun-chips. August 11, 2010Gull 4 Seasons Resort has so many things to do! I never get bored. It has an arcade with 8 games, and they are only 25 cents! Plus it has an Indoor Pool and an Outdoor Pool that I love to play in. It has a cool playground and nice tennis court. I love playing tennis so much. And last but not least the cabins are super nice. And thats why I love Gull 4 Seasons Resort! August 09, 2010The nice thing about Gull 4 Seasons resort is the cabins. They are very clean nice, and roomy. Falling asleep isnt a problem for me. Plus the lodge has cool and yummy snacks, tee shirts and wifi. August 09, 2010I went to the sandbar and we discovered that the closer side is much colder than the other, because this side is bigger and deeper than the opposite. We played water volleyball which was fun J.
August 09, 2010We went to the sandbar and I discovered that one side of the sandbar is colder than the other. August 09, 2010We went for a family bike ride. I saw lots of squirrels. August 09, 2010I had fun looking for the ducks on the lake and feeding them. I also had fun swimming and going on a bike ride. I love Gull. The beach is nice and big. The arcade is nice. The park is cool. I especially love chilling by the pool. You get yummy stuff at the candy store. August 08, 2010Wow! Gull 4 Seasons Resort has everything, a tennis court, pools, lake and an arcade. I love swimming with my friends. This is one of the best places to spend my vacation. August 08, 2010Hi, I love Gull Ive been coming here for 2 years. It is awesome. It has everything. I love the pool and the arcade. The cabin is really nice. I made a picture for you. Gull 4 Seasons Resort is a place that I would recommend to anyone who is looking for a vacation! Gull has two pools a hot tub and a kiddie pool which is enjoyable for all ages. August 08, 2010Oh my gosh, sleep come! Katie thought. I want to sleep so tomorrow at Gull 4 Seasons Resort can come fast. August 07, 2010Today we leave Gull LakeL, so this morning we had to get up early to pack. August 06, 2010When I got here I met a lot of friends. We would go swimming and play baseball. I would feed the ducks at the lake, play the arcade games. I would go swimming with my friends, and my grandparents. We went golfing. August 06, 2010I caught 26 sunfish today. We biked through our secret path in the woods. Nooooo! This is our last night here! We are going swimming right now and probably for the whole rest of the dayJ, so that we can have fun and because this is probably our last swim. Tomorrow we have to leave at 9:30. I would get up at that time, but I probably wont be able to because for the rest of today we are going to have fun. So I will be tired. My Grandma will wake us up. I dont want to leaveL. August 06, 2010My day was filled with excitement. I went water skiing, and I did it! Then I played tennis. I hope I come here next year. August 06, 2010Today we went tubing on Gull Lake. My arms are very tired from holding on! I also plan to see the fox tonight. August 06, 2010Today was so much fun! We went boating and we caught lots of fish! I caught 9 fish! I cant wait to have more fun! August 06, 2010I like to go to Gull Lake 4 Seasons Resort because there are a lot of fun things to do here. You can swim, play games, go fishing, and a whole lot of other stuff. I come here every year and never get bored. August 05, 2010I like scrapbooking. The park is fun to play at. I like to walk in the woods and find things. August 05, 2010I like to go tubing and play games like ring toss! August 05, 2010I do love to jump off the dock. I love to take pictures with my new camera. August 05, 2010I like playing baseball and fishing and tubing and driving the boat. August 05, 2010So far it has been a lot of fun here. On Monday I caught a 14 inch Largemouth Bass. On Tuesday we swam. On Wednesday we saw the sunset. I cant wait to see what we are going to do today. Oh my gosh, only two more nights left! I dont want to leave. I think all of us dont. Gull 4 Seasons Resort is fun, cool, makes you excited and happy. I am sure the sunset is going to be just beautiful. We will probably feed the ducks bread again. They are so cute! They really love the bread too. I think we are going to eat lunch and then games, and maybe swimming or go run aroundJ. When I got here I had a lot of fun, and today it was cold but I still went swimming. I have met so many friends. We play baseball. It is so much fun! August 05, 2010Today we are going to look at a new boat at a boat shop. Tomorrow we are going to rent a boat and go boating. I cant wait! August 05, 2010What I like to do at Gull 4 Seasons Resort is swim and playing the arcade. I also like to visit with my family. August 05, 2010Today we went swimming. We saw the sun come up. August 04, 2010My day was great. I played wiffle ball with my friends, then I went and caught 10 fish. August 04, 2010I caught 14 fish today. It was so fun. We always love to look at the fish in the fountain. August 04, 2010I like to go fishing, I like to go tubing. Gull Lake is really fun! Tonight is the 5th night at Gull 4 Seasons Resort for us. This morning we had a power outage just for 2 hours (not long) 9-11. So today we do not really know what we are going to do Swim, hot tub, play games, watch the sunset, more. Gull 4 Seasons is a lot of fun, so I hope we get to stay here on Saturday until like night. Well I think I am going to go play some games. August 04, 2010I like to play baseball here. I like to go swimming. It is very fun here! When I got here I had a lot of fun. I would sit on the couch and watch the Minnesota Twins game. Playing with my friends and watching the sun go down is fun. I have a good night sleep after playing games every night. August 04, 2010I like to play with my new friends here. I like to go swimming. I cant wait , today we are renting a fishing boat! We hope to catch lots of fish! I cant wait to have more fun at Gull Lake. August 04, 2010My Dad got a boat today. I am going swimming today too. August 04, 2010Gull Lake is the best place I have been. I so love going fishing! I am a lot older now but Gull Lake 4 Seasons Resort is one of the best resorts Ive been to. 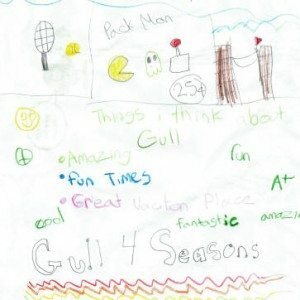 Gull 4 Seasons really does something for people of all ages. The people here are so unbelievably nice and considerate too! Im really glad we came here. The pools are nice, and having two readily available is AWESOME. The arcade is addicting, but very fun. Everyone is nice and easy to talk to. This whole resort has fun and relaxation written all over it. Im really loving Gull Lake! August 04, 2010I’ve been having a lot of fun at Gull Four Seasons Resort. There are so many fun activities to do here! Everyone seems so friendly, and swimming in the pool is fun too. The benches by the lake are great for resting and watching the sunset. I honestly hope our grandparents take us up here next year too! August 03, 2010The pool is fun here. I liketo run and jump off the end of the dock. Tonight will be my 4th night here. We are so excited to go swimming in a couple of minutes, because we love the pool. Our friends are really, really nice. Oh, we went swimming and then we went to watch the sunset, it was beautiful! Then when the sky was dark over by the beach there was still pretty clouds. August 03, 2010Today is my 3rd day here. I am having a blast! Something that is fun to watch here is the sunset. We are going to watch it. I cant wait! When I got here I knew I was going to have lots of fun. I have met lots of friends. I would play outside and have fun. I would go swimming, sit on the couch and watch the Minnesota Twins game. I always sleep good. Every day I would play with my friends and have fun. August 03, 2010I love Gull Lake because the sun is always out, and youve got great activities to keep you occupiedJ. Staying at a resort like this is a great way to spend time with family, and to get closer to friends! August 02, 2010I love staying at Gull 4 Seasons Resort because there is so much to do. You can swim, hang out, eat food, go to the arcade, buy candy, go to the park, lay at the beach, and hang out with familyJ. August 02, 2010I have had a great stay here. My Dad went fishing and caught a big fish. Then we played tennis which was really fun. August 02, 2010It is always sunny here. I love to find shells. August 02, 2010I come here one week in a year and it is a blast! I go swimming, fishing, and to the arcade. I try to do it all in one day. When I got here I had a lot of fun. In my cabin I would sit on the couch and watch the Minnesota Twins game. We won! I love sleeping on the pull out couch, it is so comfortable. I love playing with my friends. The Gull 4 Seasons Resort is a lot of fun! So far me and my brother have met some cool friends! We love it here J! All the fun you want to have is right here at this resort. Today so far we have eaten breakfast, and gone to the swimming pool. Then we went to the rec room, and now we are going to eat lunch and go to Pirates Cove! Later we are going swimming againJ. We love Gull 4 Seasons Resort, it is so much fun! August 02, 2010Today is my 2nd day here. I am having a lot of fun! Today we went swimming, fishing, and on a bike trail. They were fun! August 01, 2010We were saved from a rainy day by the swimming pools! The kids had lots of fun while the weather was bad. The game room was a real plus with pinball, video games and a pool table to keep us all busy. August 01, 2010Wow! I have only been at Gull 4 Seasons Resort for one day so far, and Im having so much fun! There is so much stuff to do here. Like going down to the beach, playing in the rec room, having a fun picnic, and playing in the indoor & outdoor pools, and there is so much more. August 01, 2010I love to swim in the pool. I also love to fish on the boat. August 01, 2010I love Gull Lake. I love to go swimming, and fishing and the arcade. I come here every year and I enjoy it every year. August 01, 2010I love staying at Gull Four Seasons Resort, because I can swim, fish, play video games and visit with my family. I come here every year and never get bored. My family loves it too. We talk about it all year. We stay in the summer one Saturday to Saturday. August 01, 2010So far I like the resort. In the morning I went to the pool, to take a swim. Then I went to the game room, although needing a change machine (change is available at the office) it is very fun. I am looking forward to staying here next year. When I first got here I was excited because the cabin was nice, and I met friends and it was so much fun playing in the rec-room with my friends, we played pool and Pacman, and I would sit on the couch in my cabin and watch the Minnesota Twins. I love swimming, I would time myself how long it would take to swim to the other side. In the morning I told my Grandma I slept good. So far I love my cabin and my resort ♥! In my cabin I have really good pictures. August 01, 2010I like swimming. I like to go fishing. It is fun here. July 31, 2010Our family vacation was so much fun. We caught a bunch of sunfish, and 9 Largemouth Bass. We had 2 fish dinners. I like swimming at the lake and swimming pools and playing Pacman in the video arcade. Minnesota sure is a good place for a vacation! July 30, 2010One thing I love about Gull 4 Seasons Resort is the game room because I love all of the games there. There are a lot of games, it is so fun! July 30, 2010Gull 4 Seasons Resort is awesome because of the game room, it has such cool games! I also like the playground area because is so big and fun! I love coming here♥! July 30, 2010The best part about Gull 4 Seasons Resort is the lake. You can swim, go tubing, boating, or just watch the sunset! July 29, 2010We went for a boat ride around Gull Lake today. It was a beautiful day and we had a great time. We stopped at Ernie’s Restaurant and had hamburgers on the patio right next to the lake. The boat lifts make it nice for our boat when we get back to the resort! July 29, 2010I love swimming at Gull 4 Seasons Resort. It is fun for all ages because there are 4 different pools, an indoor pool, and outdoor pool, a kiddy pool, and a hot tub! July 29, 2010We took our family to see the Minnesota Legend — Paul Bunyan. It is just as fun as I remember as a kid. Paul talks to the kids by name. We stopped in Brainerd and had an ice cream cone on the way back to the resort. The kids will sleep well tonight! July 29, 2010I love coming to Gull 4 Seasons Resort because it is so much fun, and they have so much to do! I have come here ever since I was a baby, and it is like a family historical landmark. I look forward to it every year! July 29, 2010One thing I like about Gull 4 Seasons Resort is the cabins, because they are so big, and there is so much room. July 28, 2010Some things that I like about Gull 4 Seasons Resort are the cabins, because they are so nice and big. I also like the pools because they are so warm and big. July 28, 2010The best part about Gull 4 Seasons Resort is that it is near so many fun places. There are great restaurants, a mini golf place, and Nisswa! July 28, 2010One thing I like about Gull Four Seasons Resort is the lake, because I love to swim in the lakes. I like to play in the sand too. July 27, 2010One thing I love about Gull Four Seasons Resort is the pool, because I love swimming. Also I like that you have a hot tub, kiddie pool, and indoor pool. July 27, 2010One of the reasons I love Gull 4 Seasons Resort is that there is a beautiful view of Gull Lake. Every night me and my family watch the sun go down, it is so beautiful. July 27, 2010I love Gull Four Seasons resort so much because we have been coming here before I was born. I also love the park because of the school bus. It is so cool! July 27, 2010So far I am really having fun at Gull 4 Seasons Resort. It kinda stinks that it is raining, but we still get to swim inside. July 27, 2010I am enjoying my stay at Gull 4 Seasons Resort. It is fun to be surrounded by nature. July 26, 2010Gull 4 Seasons Resort is a fun experience for all ages. I come every summer and its always a blast! July 26, 2010At Gull 4 Seasons Resort I like the beautiful view of the sunset going down. I also like the candy store because I like candy. July 26, 2010I like the candy store because there is always something to eat. It is my favorite place to go. July 26, 2010My favorite thing at Gull 4 Seasons Resort was playing Pacman and swimming. I probably spent $10 on Pacman because its so addicting! July 26, 2010I really enjoyed my time at Gull Four Seasons Resort. It is great to be able to swim indoors and outdoors. July 24, 2010As our Minnesota Vacation has ended, I will delay packing to thank Dan & Sue and their wonderful kids for all their help in making this the best vacation our family has ever had!! July 24, 2010One thing that makes Gull 4 Seasons Resort unique is the grounds. There are large areas of grass! The grass is thick and wonderful, the trees are just huge too. It is nice to find a resort where they have left so much room for the kids to run and play!!! Relaxing at the end of the day and watching the sunsets over Gull Lake. This is such a nice clean resort with beautiful well kept grounds!!! July 23, 2010Another great day of boating on Gull Lake! We really enjoy using a boatlift, and having gas on the water is a plus. July 22, 2010oday we went horseback riding at the Outback Riding Stables. What a beautiful place. They are very helpful and the horses are very gentleJ. Riding through the woods was a blast! July 22, 2010Gull 4 Seasons Resort is a great place for a minnesota family vacation! The Brainerd area has lots to do too! Gull Lake is beautiful, we really have enjoyed the sunsets! July 21, 2010What a wonderful resort! I love being able to let my kids go to the resort candy store. There is so much to do here, this really is a “family resort!”. We really enjoy watching the beautiful sunsets over Gull Lake. July 21, 2010My favorite thing to do is to feed the ducks! They are very friendly and run to me when they see me coming. July 20, 2010My family and I went tubing in front of the resort. We went fishing. My vacation is fun so far. July 20, 2010We enjoyed a beautiful sunset over Gull Lake. It is nice to sit on the park benches and just take in the beautiful view from the resort! July 19, 2010I had fun swimming in the pools today. We played pool and video games in the arcade. It was fun. July 16, 2010Minnesota fishing is great! Today my Dad got a fishing guide and we caught 11 walleyes on Gull Lake! I can’t wait until we come back to the resort next year, so we can go fishing again. July 15, 2010We are having so much fun! Our family vacation has included going to Paul Bunyanland in Brainerd and biking on the trail in Nisswa. Today we will stay at the resort and just lay around at the beach and go swimming in the pools! July 15, 2010This is the first time we have brought our family to a Minnesota resort for our vacation. We are already running out of time! The swimming pools are great, and the shops on Main Street in Nisswa are wonderful. We will be back! July 14, 2010We just love this resort. It is such a family resort setting. The lawn is just beautiful. The kids are throwing the baseball now. There is just so much room! The view of Gull Lake is spectacular. The boat lifts at the lake make it so handy to just jump in the boat and go! To have a nice swimming beach, and an indoor and an outdoor pool at the same resort is fantastic. We looked at a lot of Brainerd Lakes Area Resorts, and are so glad we found Gull 4 Seasons. Plusses include: very affordable rates, very nice condos, and there is even WIFI everywhere on the resort. Amazing!!! Truly a Great Family Resort! July 14, 2010The best thing about staying at Gull 4 Seasons Resort is the swimming. I like the indoor pool. We go to the arcade and play the games too. July 13, 2010One of the things I like the most about staying at Gull 4 Seasons Resort is the boating on Gull Lake. We can take the kids tubing without fighting a crowd. We also really like the opportunity to go to lunch and dinner by boat (I give 5 stars to Bar Harbor Restaurant). July 13, 2010My best part of the vacation was when our family took out the pontoon on the lake. We caught 23 sunfish. We used night crawlers for bait. We went to eat at a restaurant with the pontoon. July 12, 2010My Minnesota vacation is fun. My family went from the resort to eat at a restaurant with our boat. July 12, 2010We took a bike ride on the Paul Bunyan Trail today. We started in Nisswa and rode to Baxter and Brainerd. It was a beautiful ride past several lakes. I will say Minnesota has great bike trails. It is something we looked for when we were planning our family vacation! July 09, 2010We arrived for our Minnesota Family Vacation today. We love our cabin and have already taken the kids swimming in the pools. This seems like the perfect family resort with all the things for the kids to do. How exciting! July 09, 2010Glad we picked Gull 4 Seasons Resort for our summer 4th of July vacation! Enjoyed using the boat slips for our boat being able to go down and hop in the boat and go!! Thank you again!! July 09, 2010This is a wonderful resort! We are thinking about coming back again next year too! Lots for the family to do, like playing tennis, game room, fishing, shuffle board! July 08, 2010One very nice thing here at the resort is having wireless internet available in our Cabin! My husband takes the kids fishing in the morning, and I can catch up on my emails (happy boss-). Of course when the boat heads out in the afternoon, I am on board for some Minnesota vacation sunshineJ! * Taking a boat ride or fishing. * Playing outside in the sun or shade. * Having favorite food–ice cream every day. Its a great place for people of all ages! July 07, 2010We appreciate the facilities available at the resort–tennis court, game room, indoor & outdoor pools. 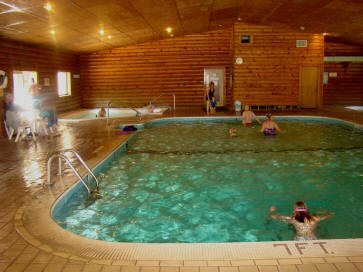 We especially like the indoor pool. Temps too cool or too hot–head for the indoor pool. Need time out of the sun–head to the pool and hot tub! July 07, 2010We went tubing this morning. I like being able to use the wireless internet at my cabin to talk to my friends C.
July 06, 2010We really appreciate the excellent service that Dan & Sue along with their family and resort staff provide to all the guests. Whether its their friendly smile, help with a boat, use of a kitchen item, or all the behind the scenes tasks being done, each make Gull 4 Seasons Resort such a wonderful spot for for a family vacation! July 05, 2010Great resort!! Great family time too, would recommend this resort to my family and friends!!!! July 05, 2010Hi my name is Nick, I like the game room its lots of fun! I like riding in our boat on the lake! I hope I come back next year!! July 05, 2010Hi my name is Denny. I am here with my family enjoying the beautiful lake view. We took the kids tubing and water skiing they had a blast! Hope I come back again! July 05, 2010We love the sunsets over Gull Lake. We try to head to the lake to enjoy them every evening. Our daughter decided she wanted a photo of the sunrise. Her accommodating father took her out in the boat to the north end of the lake to photograph the sunrise. July 05, 2010We watched the fireworks by boat on Gull Lake last night. A very nice show was put on. You could even see the higher fireworks from Brainerd. After a slow cruise back to the resort it was popcorn and cards! July 04, 2010Hi my name is Kellie, This is my second time up north, first time at this resort. I like swimming in the pool and the lake! I hope I come back next year! July 04, 2010We think the best testament to our family fun at Gull 4 Seasons Resort is the fact that we have been coming here since 1984. It is our tradition to come here every other year (even years)! Our daughters were 2 & 4 in 1984, now they come with their husbands to relax here! July 01, 2010I really enjoy the wireless high speed internet at this resort. I can us it at my Condo or when I am by the pool too! July 01, 2010My name is Christian, this year has been so fun! My favorite things to do are swim in the pool and the lake, boat rides and fishing. I hope that I come back next year. July 01, 2010I have had a blast at Gull 4 Seasons Resort. This will be my 9th year up here. My favorite things me and my family do here are fish, swim, go for boat rides, and go to the arcade. July 01, 2010I have always loved 4 Seasons because of the great fishing and swimming. I have always enjoyed coming here! I hope we come back next year! By: Zoe♥ p.s. I love feeding the ducks! June 26, 2010We rode our bikes on the Paul Bunyan Trail from Nisswa to Brainerd. Th bike ride was beautiful. The trail passes along Lake Hubert, through the woods and along North Long Lake. After making it back to Nisswa it was back to the resort for a nap by the swimming pool! June 24, 2010We had fun swimming in the pools. We played shuffleboard. June 21, 2010We went fishing on Gull Lake this morning. We only caught 1 Northern Pike, and 3 Perch. This afternoon we went into Love Lake and fished with leeches. By the time we came back to the resort we had 6 Bass and a bunch of Sunfish. Now that is my kind of fun! June 16, 2010We went to the Turtle Races in Nisswa. My turtle raced in the second race, he had a slow start but got really fast at the end and came in third. My sister had a turtle but it kept it’s legs in the shell and didn’t go anywhere. We went to the Totem Pole and got a spear and a whistle. We came back and went swimming in the pool. June 10, 2010The funnest thing I did today was play in the Game Room. We played the pinball machines, my brothers were playing pool and listening to the juke box. I like the video games, my favorite is Pac Man. June 09, 2010We went to Paul Bunyan in Brainerd today. It was really fun. They have rides, and lots of things to look at. My favorite ride was the train. Paul remembered my name from last year. June 09, 2010We went to the Brainerd Lunkers baseball game last night. Brainerd was ahead most of the game, but was beaten in the end. That is OK because the Rochester Honkers beat them and I am from Rochester! The hot dogs at the ball park are delicious. June 01, 2010My husband and I went biking on the Paul Bunyan Trail. We started in Nisswa and headed toward Brainerd. It is a beautiful ride past the old train depot and along Lake Hubert. We stopped and ate in Merrifield. We turned around and headed back to Nisswa. It was a very enjoyable and easy ride. I give the trip a very fun rating!! If you would like to share a story about the fun you have had on vacation, you can drop off your story at the Front Desk, or Email it to us. Remember if you have pictures to send about your vacation fun we may post them on our web site!